Ford's decision to import the European Sierra XR4i is credited to the Swiss born automotive icon Bob "LOLZ" Lutz who looked at the European imports being purchased by Americans and said "Hey, we (Ford) have got European cars to sell, give 'em what they want." Lost in history is the buffoon behind the decision to brand the vehicle as the Merkur XR4Ti and sell it at Lincoln-Mercury dealers. Buyers would head to their Lincoln-Mercury dealers, take one look at a Merkur and say "wow, the quality in the badge department at Mercury is really atrocious, I'm going to go buy me a Saab." 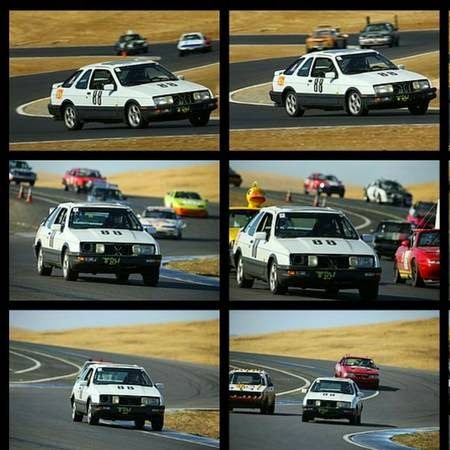 Today, the XR4Ti is dirt cheap and can be found pounding the pavement at your local 24 Hrs of LeMons, Chumpcar, or AER race for $500 crapcans. 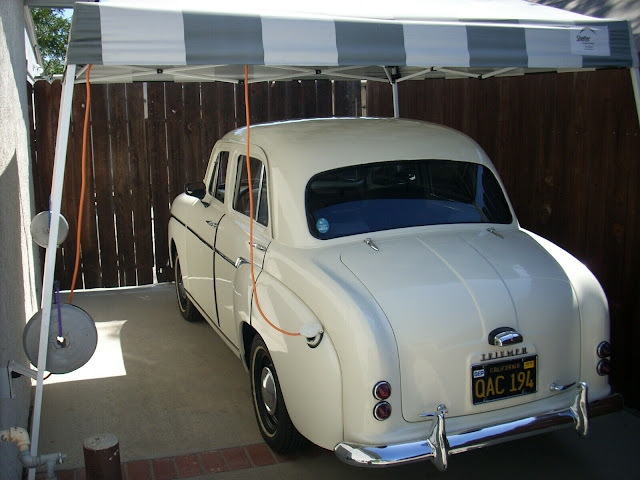 Find this 1988 Merkur XR4Ti V8 offered for $1,500 in Concord, CA via craigslist. Concord is only a few miles away from the birthplace of the 24 Hrs of LeMons -- the now defunct Altamont Speedway in Tracy, CA. Thankfully this car hasn't seen any Altamont races, because those early races were basically a demolition derby with a finish line, and modern LeMons races can go an entire lap without a yellow flag or somebody being carried away in an ambulance. This XR4Ti is full caged (be sure to check the rules for the race series you want, the safety regs change constantly) and has a Ford 302 HO V8 from a 91 Mustang GT shoved where the 2.3 turbo engine once lived. It should be fast and fun. A similar car (without the cage and still having the interior) would be fun for the street/gymkhanas. Light, nicer interior than most North American cars, irs, and cool rear wing.I usually see these with the optional oil smoke coming out of the exhaust pipe. 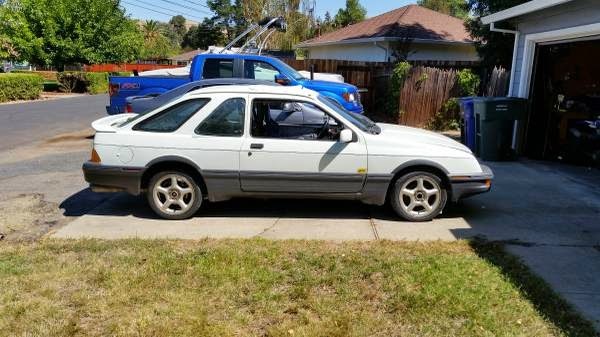 Cheap to buy an XR4Ti, Mustang 5L and 5 speed also cheap... Might be a fun project. Sir, you had me at "need space for beer brewing operations".